Jorge Agustín Nicolás Ruiz de Santayana y Borrás, commonly known as George Santayana, was born in Madrid, Spain on December 16, 1863. He spent his early childhood in a town name Ávila. In 1872, at the age of 9 he moved to the Boston and lived there for forty years of his life. He didn’t know how to speak English at first but all his work in his career was published in English. Even though he moved there at a young age, he never considered himself an American and never took an American citizenship. He never felt like he belonged in the West. From 1882 to 1886, George Santayana studied at Boston Latin School. He graduated from Harvard University, where he studied under famous philosophers William James and Josiah Royce. He earned his PhD from Harvard in 1889, after which he started teaching at the University. His students include poets (such as T. S. Eliot and Robert Frost), writers (such as Max Eastman), diplomats and professors. He influenced many young students and preferred their company over that of his coworkers. Santayana’s work and philosophy was based on spiritual values. He was not in favor of the liberal and democratic beliefs of the Western civilization and openly voiced his opinion against it. The well-known philosopher was agnostic in his beliefs but did not undermine religion. He had a liberal and open-minded view about it. He wrote about his religious beliefs in his books “Reason in Religion”, “The Idea of Christ in the Gospels”, and “Interpretations of Poetry and Religion”. In 1912, when Santayana was in Europe, his mother passed away, after which Santayana sent his resignation to Harvard and he never went back to America. He was invited back to Harvard through many offers, but he refused all of them. He moved to Rome in 1924, where he spent the rest of his years. “The Sense of Beauty” (1896) which is considered a valuable contribution to aesthetics, as it was among the first major publications on the branch of aesthetics in America. “The Life of Reason” (five volumes, 1905-1906), which he explained was “a presumptive biography of the human intellect”. “The Realms of Being” (four volumes, 1927–1940). “The Last Puritan” (1935) is his famous fictional novel about the life of a Boston descendant Oliver Alden. Santayana claimed that “it gives the emotions of my experiences, and not my thoughts or experiences themselves”. This novel was nominated for the Pulitzer Prize and made him financially stable to live out the rest of his life with ease. “Persons and Places” (1944) is an autobiography about his life and how he transformed from a boy into a philosopher. 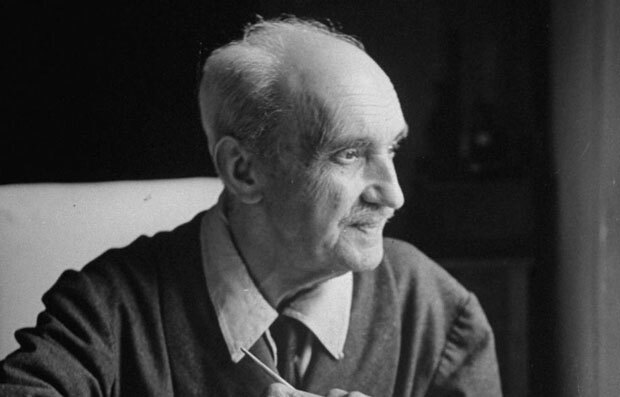 George Santayana’s quotes are famous to this day, including “Those who do not remember the past are condemned to repeat it” and “Only the dead have seen the end of the war”. He is remembered for his aphorisms, which have been used to such an extent that they have become clichés. He led a very secluded life and never married, thus had no children. He passed away on 26th September, 1952 in Italy while he was sleeping, at the age of 88 years.